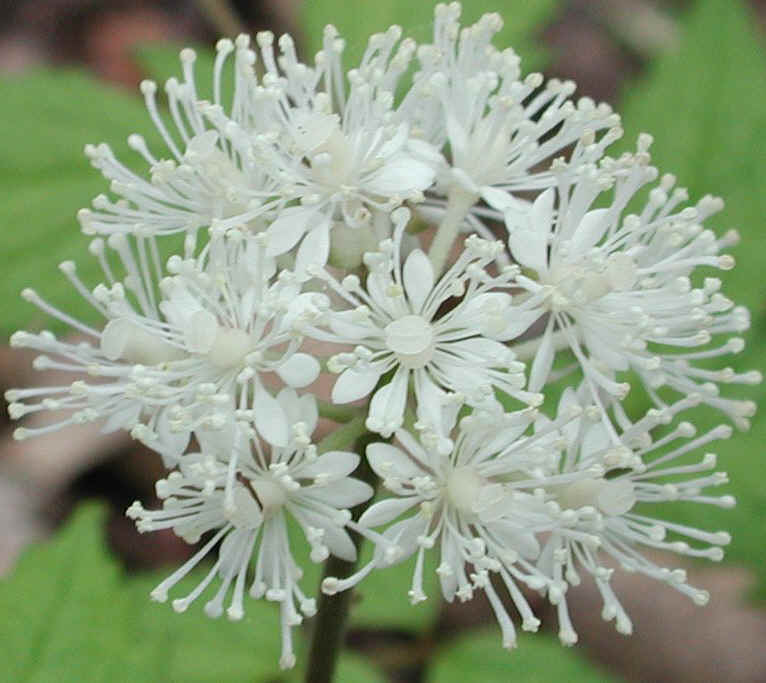 (White Baneberry (Actaea pachypoda) - 07a) As we have stated previously, it is difficult to distinguish the difference between the sepals and petals of the white baneberry, and the literature is also quite confusing. Some sources only mention the flower has 4-5 sepals, with no mention of petals, while others mention 4-10 petals with no mention of sepals. We believe that the number of sepals and petals don't really vary, but fall off before most observers can get an accurate count. 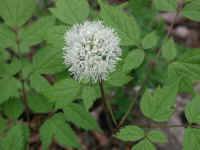 In the center of this cluster we have a flower with 5 sepals and 5 petals, which we believe all white baneberry flowers possess. In the center of the flower we can see the single two-lobes stigma on top of the superior, white, glabrous ovary.